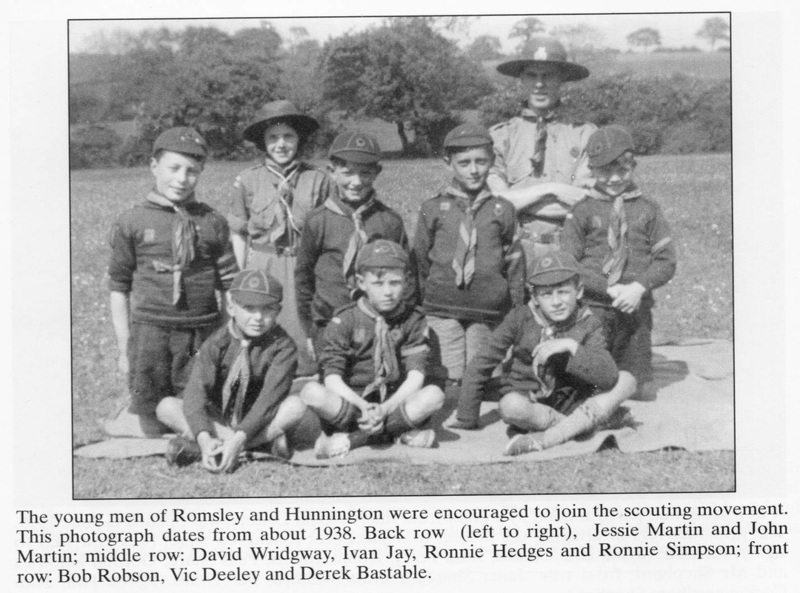 ​The first Scout Group in Romsley was registered on 10th February 1937. The registration form held in The Scout Association archives says that it was called St Kenelm’s Scout Group. 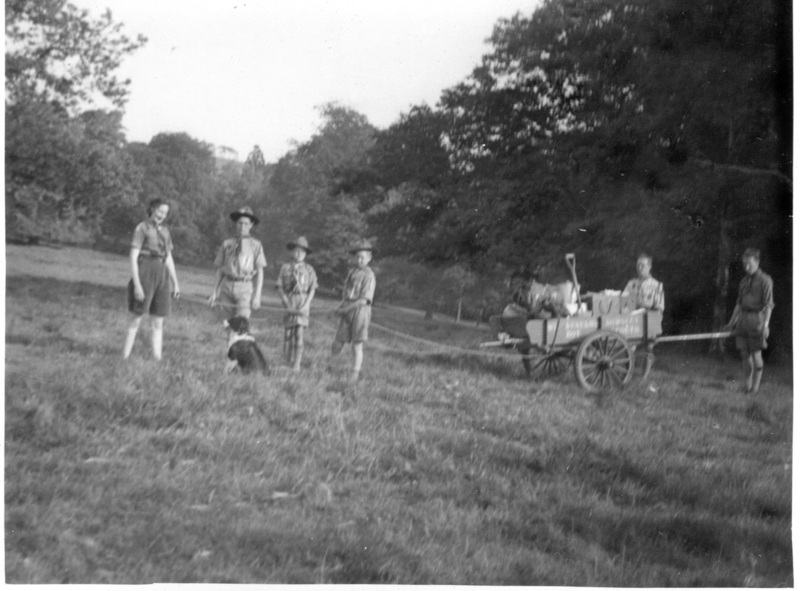 The Scout Group met at the Mission Hall (now called St. Kenelm’s Church Hall) and comprised of 6 Wolf Cubs, (aged 8 to 11), 15 Scouts (aged 11 to 17) and 6 Rover Scouts (over 18) with 4 leaders. The Group Scout Master, who oversaw the whole Group, was Stanley Shaw who lived at Kenelmstowe, St Kenelm’s Road, Romsley. In charge of the Cubs was Cub Master was John Martin who lived in Bromsgrove Road on top of Romsley Hill. The Scout Master was a Mr W Johnson of Shut Mill Lane, Romsley. He was assisted by Gerald (?) of Back Lane (now called St Kenelm’s Road). St Kenelm’s Scout Group came under Halesowen District, part of Worcestershire County. At the time the District Commissioner was Jos Jaquis, Head teacher at St John’s School, Halesowen. Jos Jaquis gave his name to a District Camping Competition that still takes place every year. 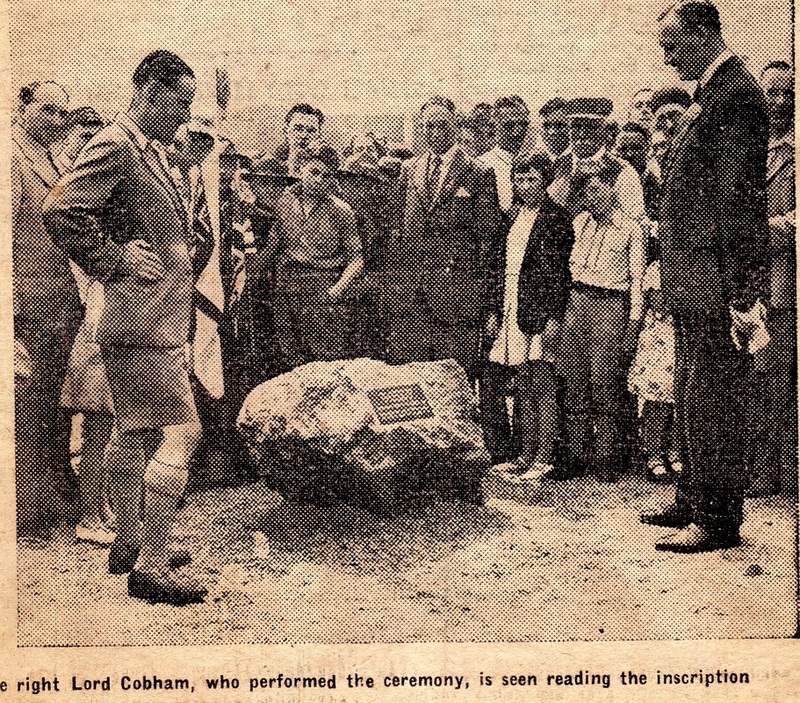 ​One of the early duties for the Scouts was providing a Guard of Honour to Viscount Cobham at the official opening of the Camping Club Site in Fieldhouse Lane on 27th June 1937, when he unveiled a plaque. Professor Wills of Shut Mill provided a large stone for plaque, the stone being one of the many glacial deposits that can be found around the area. The Scouts brought the stone to site on their Trek Cart and it can still be seen at the site today. ​Also in 1937 St. Kenelm’s Scouts met Lord Baden-Powell, the founder of Scouting, when he came to a rally at Eastnor Castle near Ledbury. 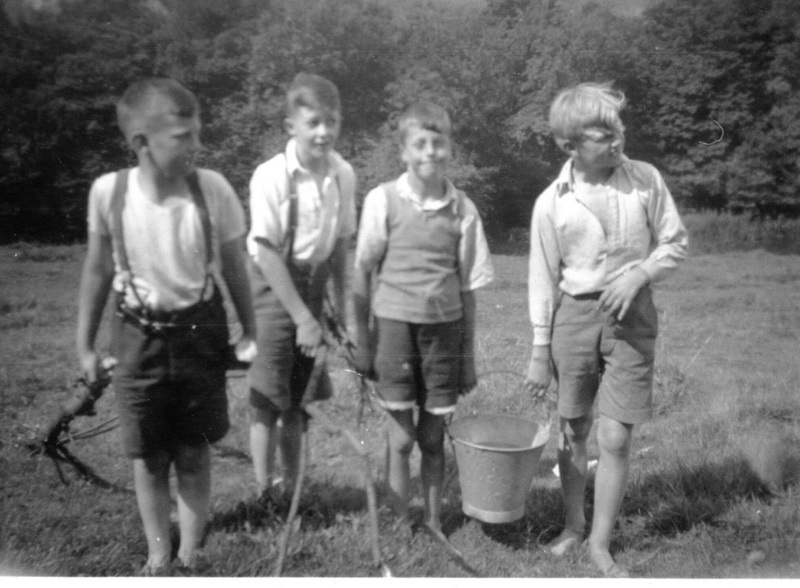 The Scouts - and later also the Guides - used to meet in the ‘Scout Hut’. This was in the back garden of John and Jessie Martin’s House in Bromsgrove Road on the top of Romsley Hill. ​The Scout Troop was now run by John Wridgway before he joined the army in 1940. 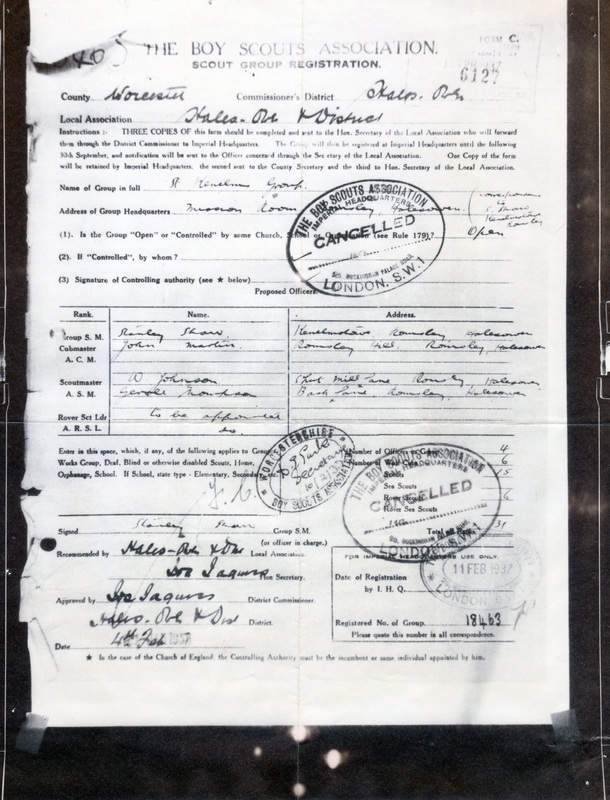 John was a Dispatch Rider in Egypt from 1940 till 1945. 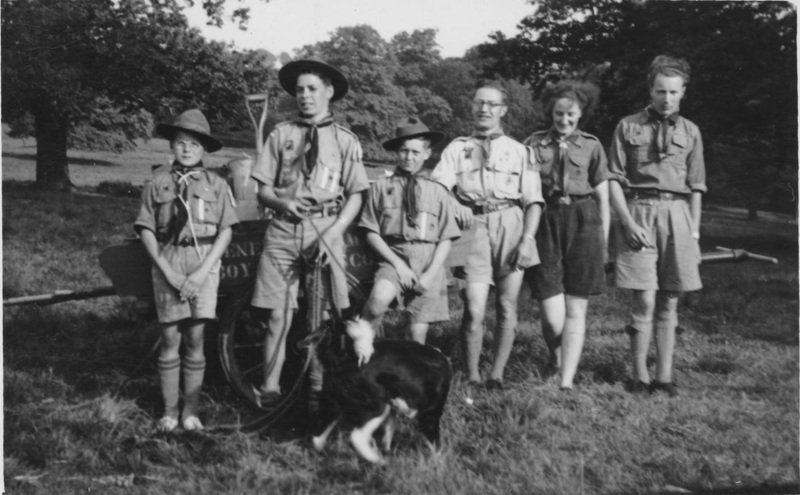 The Scouts often joined up with Romsley Guide Company which was founded in 1942. The Guide Captain was a Mrs Evans. In this photograph taken around 1943 we can see (back row l to r) Elizabeth Harris, Barbara Martin, Mrs Evans (Captain), Jean Wridgway, Hazel Hughes and May Shaw. On the front row on the right is Clara Potter who would later become a Guider, as well as her daughter Carol Potter. This photograph was taken on The Green on Romsley Hill. The Martin’s house, where ‘Scout Hut’ was, is on the background. Mrs Evans (Guide Captain) is 3rd from left on the back row. (Back row l to r) Hazel Hughes, Jean Wridgway, Captain Evans, Barbara Martin, (Front row) Elizabeth Harris and May Shaw. ​Mrs Evans' husband, Harry Evans who had become the Group Scout Master by now, also took over running the Scout Troop whilst John Wridgway was in army during the war. ​It was during the war that Jessie Martin gave up as Cub Leader to have a baby and May Shaw (later to become May Wridgway) took over as Akela. ​VE Day May 1945 – The Scouts and Guides built a beacon on The Green on Top of Romsley Hill to celebrate the occasion. If the Troop went further afield Jim Baylis from the farm would take them and their equipment on the back of his lorry. ​One day John Wridgway went on a drive on his motorbike and found a good site for camping at Dunmaston Manor, near Bridgnorth. The Troop spent many a camp there and the site owner always offered the use of the lake, boathouse and a punt. As food was still on ration after the war, the local shop-keeper would often slip the Scout Leaders food which was on ration. 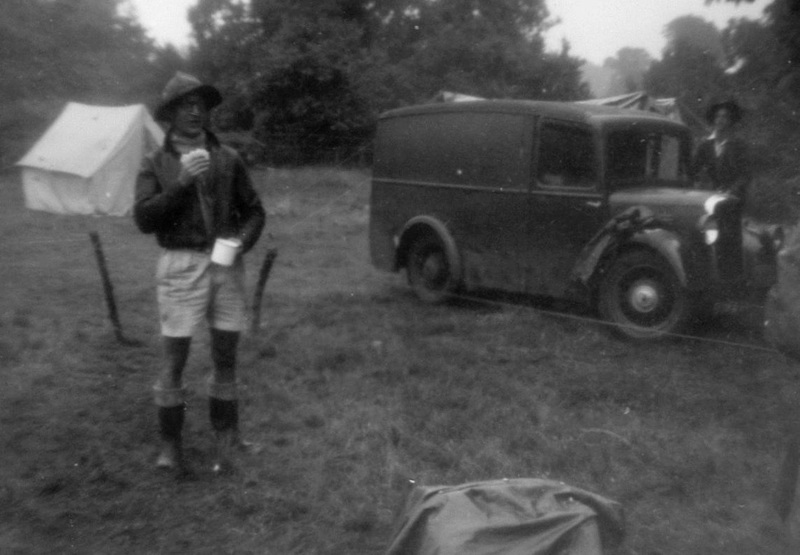 ​John Wridgway later bought a van to be able to carry all the equipment for camp. Around that time, another Romsley resident John Brown was the District Secretary for Halesowen District Scouts. John lived at Churchward on Bromsgrove Road and is known for collection of photographs he left to the History Society. This photograph was taken when the Troop was staying in the​ Chief’s Lodge at Kinver Scout Camp Site. The lodge was opened by Lord Baden-Powell in 1937. 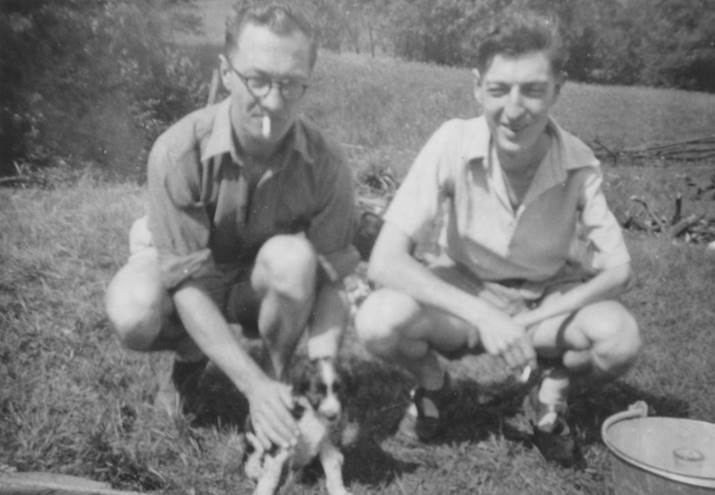 ​The Scout Group saw a big wedding in 1949 when Scout Leader John Wridgway married Cub Leader May Shaw at St. Kenelm's Church. The snow came down as the wedding party passed through the Guard of Honour created by the Scouts with the staves. The ceremony was followed by a reception at St Kenelm's Church Hall. 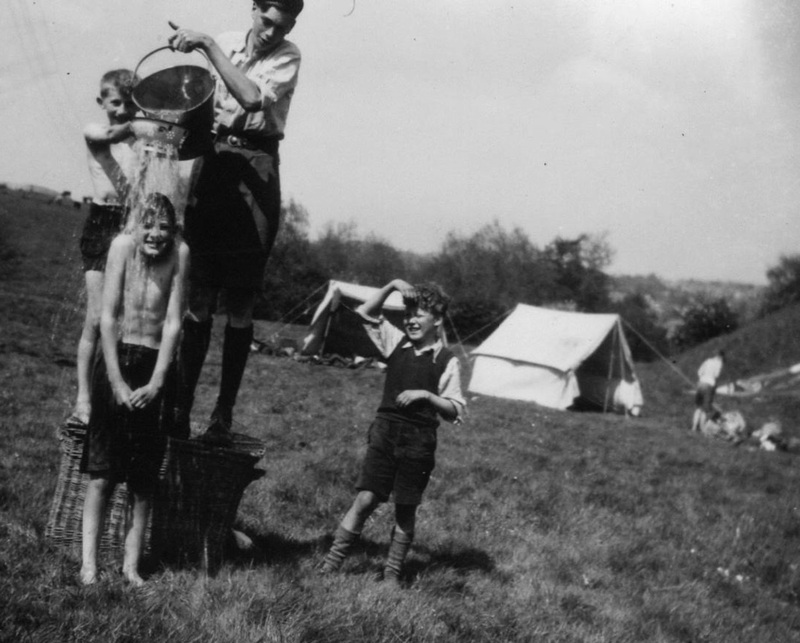 To celebrate the Festival of Britain in 1951, the Scouts and Guides organised a full week of events in Romsley and Hunnington. The money raised from the events were to go towards a new Headquarters. ​​St. 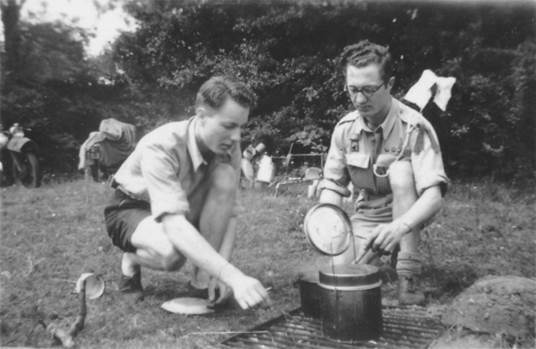 Kenelm's Scout Group closed in 1954 when John and May Wridgway retired as leaders after many years of hard work. Thank you to May Wridgway for her help and kind permission to reproduce the photographs.